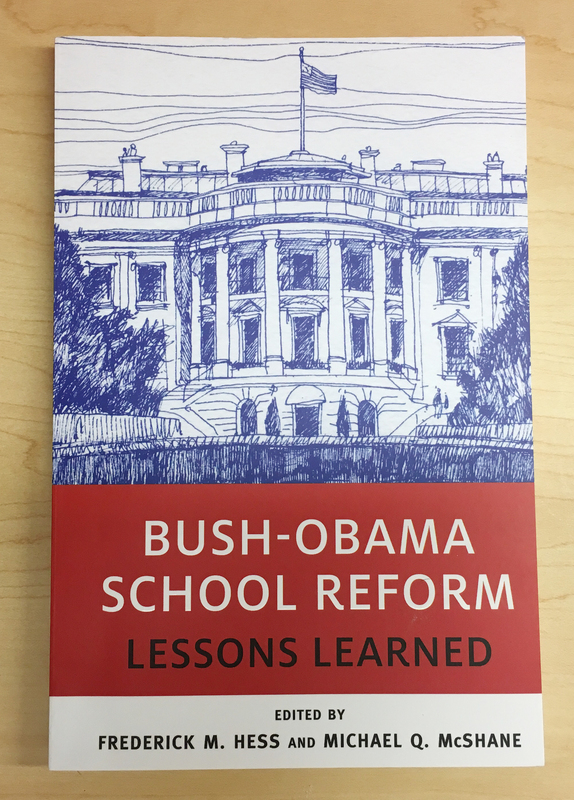 NC State College of Education Assistant Professor Anna Egalite contributed a chapter on the expansion of charter schools under the Bush and Obama administrations to a new book recently published titled Bush-Obama School Reform: Lessons Learned. 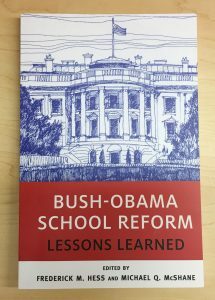 Published by Harvard Education Press, the book examines the role the federal government played in education across the presidential administrations of George W. Bush and Barack Obama. In Egalite’s chapter, she discusses the expansion of charter schools under the two presidents and how federal funding impacted the schools. Earlier this year, Egalite presented her research that informed the chapter at the American Enterprise Institute’s reflection on school reform in Washington, D.C. Below she answers three questions about her experience researching and writing this chapter. Why are you interested in charter schools and how the government interacts with them? This was a fascinating topic to study. Although these two presidents differ in many ways, both Bush and Obama led massive federal efforts to expand charter schooling. I was interested in learning more about the similarities in their approaches, examining trends in public support for this particular education reform, and analyzing the implications of that expansion — has it been productive or does it offer a cautionary tale for future presidents? In your chapter, you list five lessons that can be learned from the growth of charter schools under former Presidents George W. Bush and Barack Obama. Which one was the most surprising? I enjoyed learning about the role of the federal government in funding charter school research and the lesson I propose is that this is a constructive role for the executive branch to play. For instance, the first randomized control trial of charter school effectiveness was actually funded by the U.S. Department of Education. This strikes me as a very appropriate use of federal education dollars. Moving forward, I’d like to see contemporary research on this topic incorporating more diverse outcome measures and paying attention to new developments in the charter school sector, such as the use of personalized learning models that make use of learning “playlists,” competency-based progression, flipped classrooms and flexible learning environments such as those modeled by Summit Public Schools, Rocketship Education, KIPP Empower and Carpe Diem Schools. Based on what you learned about the impact former Presidents Bush and Obama had on education, what are your thoughts on the impact of future presidents? I don’t doubt there will be other presidents who prioritize education issues. Even though the U.S. president lacks constitutional authority over this particular policy domain, the American public seems to expect presidential leadership on this domestic policy issue, which has resulted in creative approaches to policymaking by the executive branch! This observation isn’t meant to downplay the impact of the 43rd and 44th presidents, of course. Over a 16-year span, they led an expansion of the federal role in education on a scale that hadn’t been experienced since the 1960s. By aligning federal funding and education policies to facilitate a major growth in the charter school sector, they elevated education to a top-tier national issue. Bear in mind, the nation’s first charter school law was signed into law not so long ago — in June 1991 by Minnesota governor Arne Carlson. Yet today there are already over 7,000 charter schools educating about 3.1 million students. That type of growth rate would not have been possible without the very deliberate actions of the Republican and Democratic presidents examined in this volume.